400 Galileoscopes have been donated to Jamaica in a joint project between the Astronomical Association of Jamaica (AAJ), the Ministry of Education and the UWI Physics Department. For the International Year of Astronomy 2009 , the AAJ has embarked on a program of establishing Astronomy Clubs in schools around Jamaica, to be called “Astro Clubs”. The first such club was established at Campion College last year and has been a great success resulting in one student winning an International Essay Competition. Recently, a “Star Party” was held at Campion put on by their Astro Club. At the party, one of the students who had just looked through a telescope at the stars commented that “It’s like something was covering my vision”. 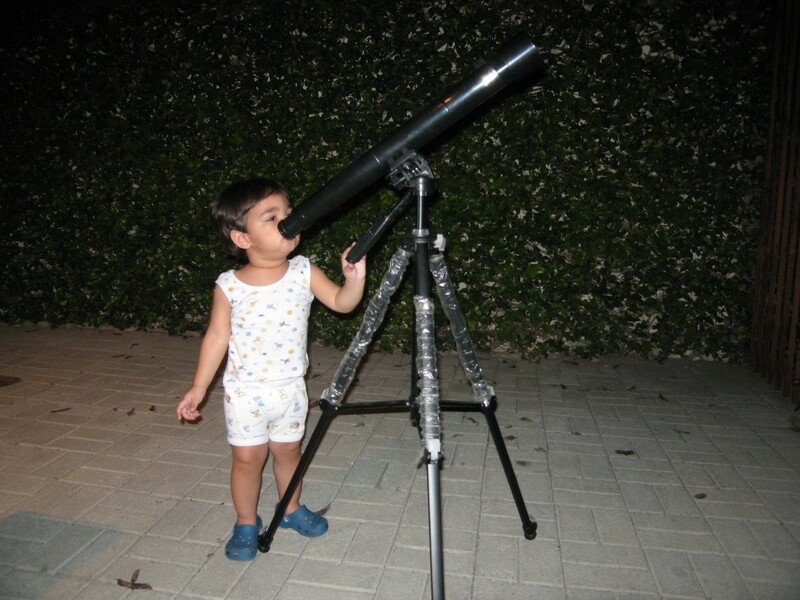 The AAJ would like to make this young astronomer’s eye-opening experience available to many more youngsters. And so, the AAJ is donating Galileoscopes to schools upon their registration of Astro clubs. The International Astronomical Union (IAU) named 2009 as the International Year of Astronomy marking the 400th anniversary of the first astronomical observation through a telescope by Galileo. My daughter, Cedella Brown, who attends Westwood High School, has an interest in astrology. She would like to get a telescope and would also like to be a member of the ‘Astro Club’. Can you tell me where in Jamaica I can get her involved in this club and also a telescope? Shortly after Kingston was founded in 1692, a man built an observatory in the town. It had no windows but there was an opening in the roof. Later, it was turned into the town’s gaol. Have you any information on these early brginnings of the sturdy of astronoomy in Jamaica? My son Roujel Williams, has a an interest in astrology and would to get a telescope. Can you tell me where in Jamaica i can get one? and what is the cost for one?